Remember that Asus Gamebox benchmarks showed up on AnTuTu website two months ago? Now, an image of its controller showed up on Bluetooth Certification website. The fact that the GameBox will have a separate controller suggests that the Gamebox will be more like a gaming set-top box rather than Archos GamePad or Nvidia Shield a-like. Based on the earlier benchmarks, the Asus GameBox will feature an NVIDIA Tegra 4 ARM Cortex-A15 processor, 2GB of RAM, 8GB of built-in storage and run on Android 4.3. 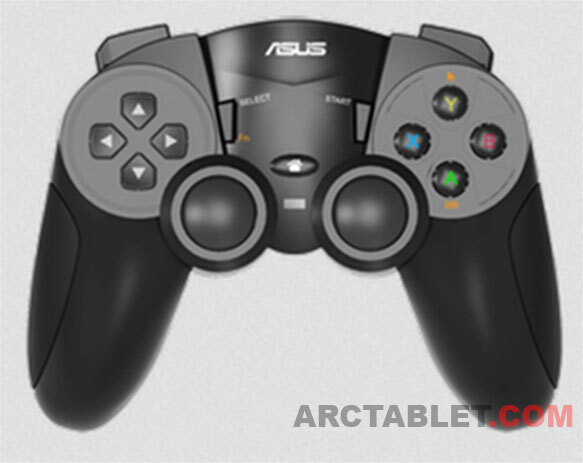 The controller should sport an 430 mAh battery, have Bluetooth 3.0 and offer up to 12 hours of video gaming. 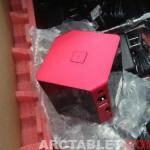 ZTE Fun Android TV Gaming Console on the way? 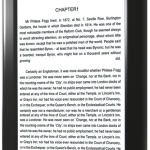 Cowon P1 shows up online, a new Android audio player with 128GB of storage? 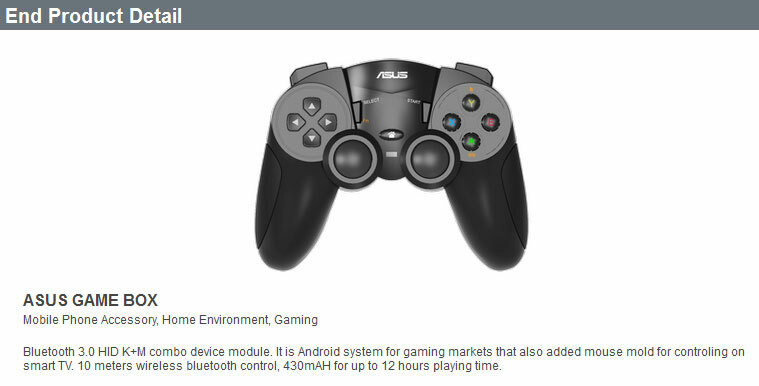 Previous articleZTE Fun Android TV Gaming Console on the way?